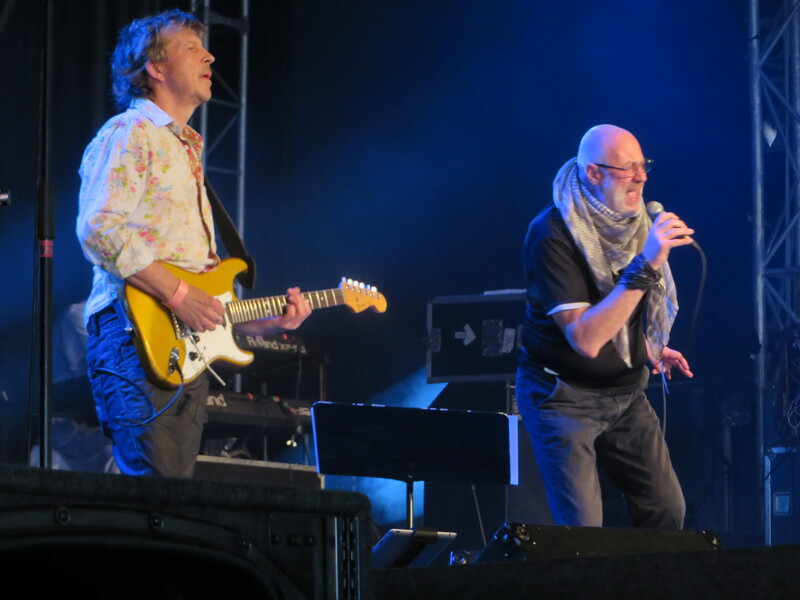 BOSPOP 2015 – 35 years and still rockin’! 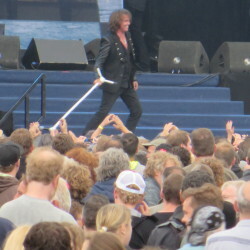 This really great quote from Joey Tempest kicks off miThoughts about BOSPOP 2015 and hits the proverbial nail on the head. 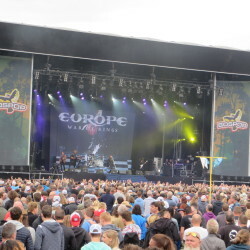 I totally agree with him… BOSPOP is an institution as far as European summer music festivals go and for the second weekend in July, the picturesque Dutch municipality of Weert, becomes the epicentre for all things musical when BOSPOP comes to town. 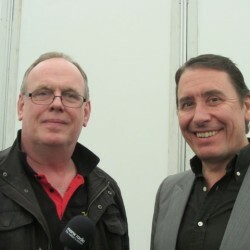 The Festival has actually just celebrated its 35th anniversary – quite an achievement for something that began its life in a bar in a youth club but more about that in BOSPOP 2015 Part 2! 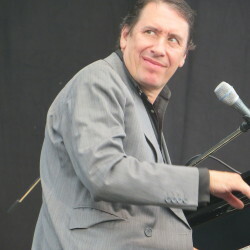 I landed at BOSPOP for the very first time in 2010 as a direct result of Southside Johnny and the Asbury Jukes being part of the programme; I was so totally blown away by the friendliness of everyone (staff and music-fans alike) as well as everything connected with the weekend that I have been going back ever since. 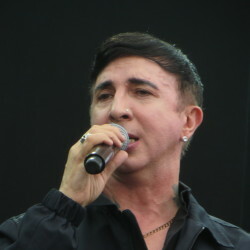 For sure, it’s always fabulous to see your own particular favourite artist or band perform the songs you know and love but one of the main attractions about BOSPOP for me is the opportunity to hear and see new music. 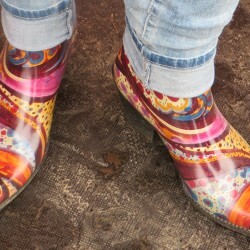 Accordingly, it always takes me a few days to return to Planet Earth after a BOSPOP weekend mainly because there’s never a dull moment – even if it rains! 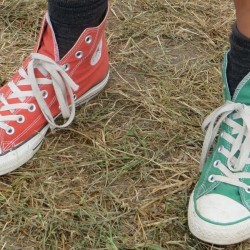 So what was extra-special about this year’s festival you might be wondering? But I guess you really had to have been there to soak-up the individual performances. If life was perfect, I would have loved to have reviewed every single performance… in great detail! But the reality is slightly different when you’re actually on the site and because of this, I tend to focus on the bands and artists that I helped to feature in Manx Radio’s run up to BOSPOP promo-phoners – Marc Tyley (host of Greatest Hits) is a fan of the festival too and he and has been covering it since 2010. The issue of the weather is always a bit of an unknown quantity and no matter how many weather apps you consult in advance it’s always a bit of a surprise on the day. In accordance with that age-old saying about “the sun shining on the righteous”, it certainly did this year – Saturday was an absolutely perfect day… blue skies, sunshine and a fabulous programme of music performing to a capacity crowd. Sunday was a little bit cooler but only because of some clouds that drifted over to check out what was happening… a mere inconvenience that the day’s music programme kicked somewhat into touch! 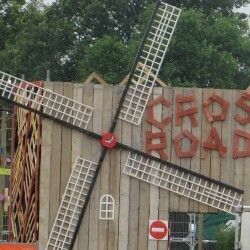 There was a new feature at BOSPOP this year called, Crossroads which turned out to be a very cleverly designed and welcome chill-out area for anyone who felt the need for a little respite from the on-stage activities. 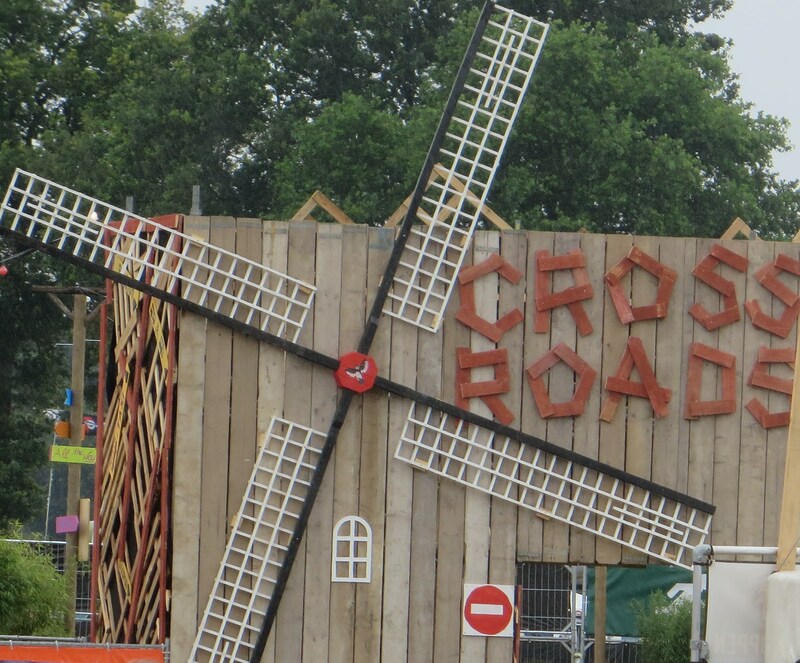 Great idea and another example of how the BOSPOP Team are always thinking of ways to continuously improve the on-site facilities for their visitors. 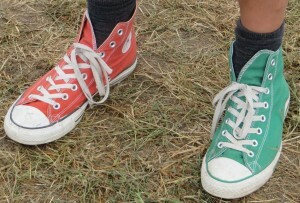 Personally speaking, I’m always a little bit fascinated by what people wear to festivals either on their heads, t-shirts or feet! 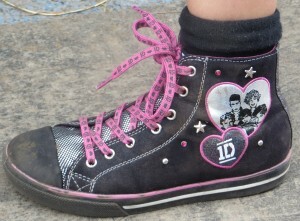 I opted for the comfort of a pair of Converse sneakers this year specially chosen for their “festival graphics” and as you can see from the pictures below, other festival-goers had their own ideas about fashion for feet – yes, that is a trainer that says: 1D! The must-sees on Saturday for me were Layla Zoe, Band of Friends and Fish – anything else I managed to catch bits of like, for example: Anastacia, Melissa Etheridge and ZZ Top were indeed a bonus. 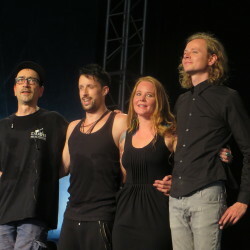 Luckily we live in a technological world where a simple mouse click will take you to an endless collection of online reviews as well as some great pictures from all the bands and artists that appeared at BOSPOP 2015 and I would say the official BOSPOP website is the best starting place. 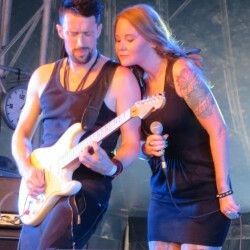 Layla Zoe: In spite of the fact that Canadian blues artist, Layla Zoe has seven studio albums to her credit, I only came across her name when it was announced on the BOSPOP 2015 programme. However, when the name popped up again on my favourite music haunt’s schedule – that would be the Blues Garage in Isernhagen here in Hannover, I was suitably intrigued enough to check out the show. I was glad I did. Let me start by saying that when Layla Zoe walks onto a stage – any stage – she brings an incredibly singular presence with her that rapidly becomes a spellbinding stage persona that actually draws you into the music with her. Watching Layla Zoe perform is so much more than listening to someone whose vocal prowess could be compared to the late, great Janis Joplin… it’s about listening to someone who extracts every single iota of passion from every single note and every single word she sings. 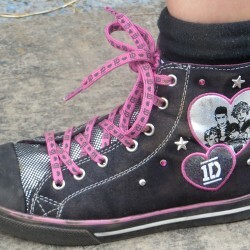 And whenever there is a lull in the lyrics and the band take over? Layla Zoe continues to live the music that is surrounding her with a mesmerizing display of perfectly choreographed and sensually delivered hand, body and hair movements that give her audience a little bit of an insight into the depth of her feelings about whatever she happens to be performing at that particular moment in time. On the tent stage with Layla Zoe were three seriously accomplished German musicians: Jan Laacks on guitar, Gregor Sonnenberg on bass and completing the rhythm section, Hardy Fischötter on drums. Watching the collective talents of these musicians on stage with Layla Zoe is a separate experience and it’s like they build an invisible, protective triangle of sound around her thereby creating a secure performing environment that allows for total freedom of self-expression. Lead guitarist, Jan Laack is not only skilled beyond words be he also has a remarkable level of self-control – you just have to watch Layla Zoe work her way through Rock And Roll Guitar Man from her 2011 album, Sleep Little Girl to get my drift as she runs her finger tips ever so seductively over the contours of Jan’s body while he delivers his blazing guitar solos in a seemingly nonchalant way! 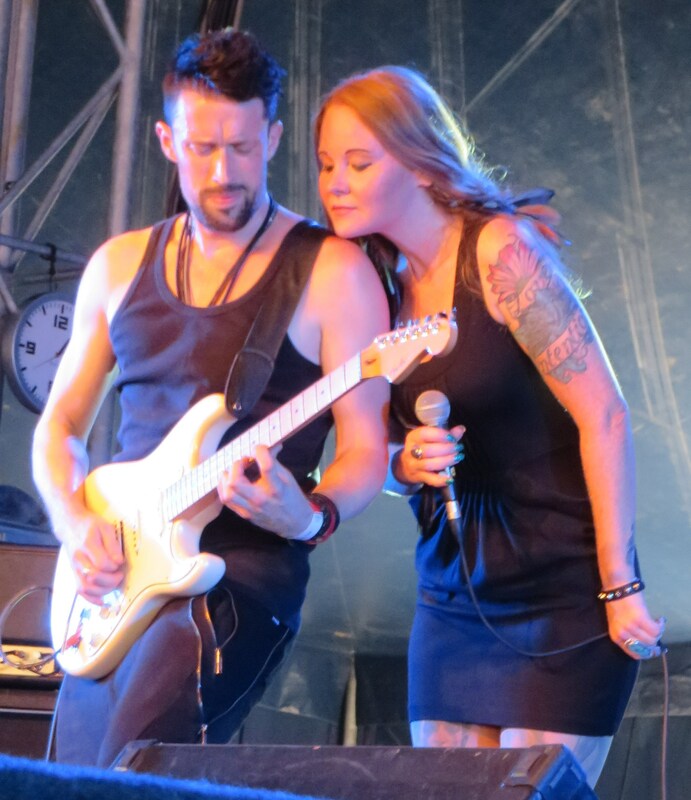 Layla Zoe’s BOSPOP 2015 one-hour set was stunning to watch… I Choose You, Singing My Blues and the uberfunky Give It To Me were part of the 60-minute set. I loved the title track from her album, The Lily and of course, her 20-minute passion-packed version of, It’s A Man’s World were indeed two of the BOSPOP 2015 festival highlights for me. Band of Friends: Next up on the tent stage was the Band of Friends and by the time I got there thinking I had plenty of time before the set started, the place was heaving in anticipation of what was to come. It was like Rory Gallagher was actually present but then I guess in a way, he was. 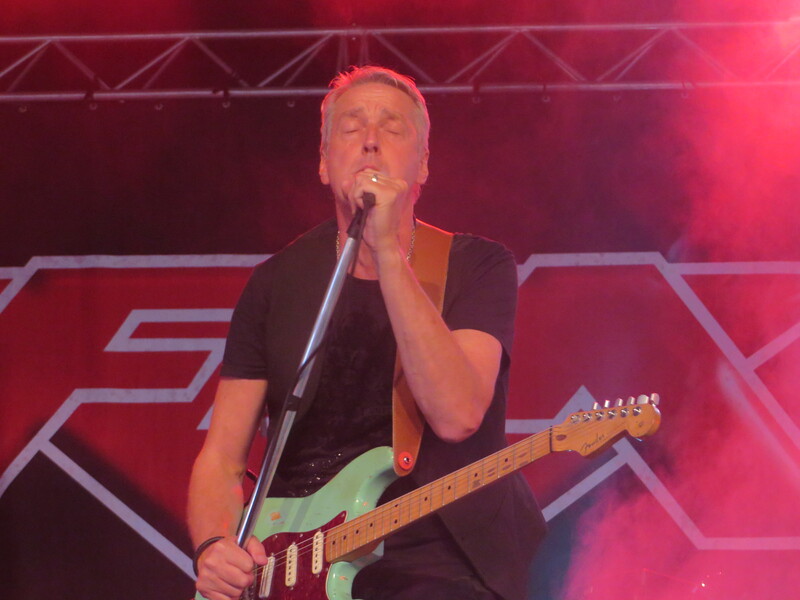 Local Dutch hero, Marcel Scherpenzeel, takes on the lead guitar/vocals role these days and sheeeez, can he make his guitar talk, or whaaat??!! 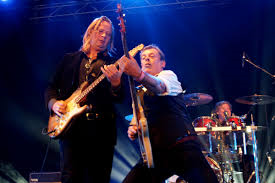 Gerry McAvoy who played bass with Rory Gallagher for over twenty years and Scottish drummer, Ted McKenna who also played in Rory’s band for a few years completed the line up by providing an invincible rhythm section. The 60-minute balls-to-the-wall set that kicked-off with Cradle Rock and included other Rory Gallagher classics like Bad Penny and Philby, was a blinder that was packed with the musical equivalent of Red Bull and connected instantly with the crowd… metaphorically speaking, the Band of Friends simply blew the roof off the place! 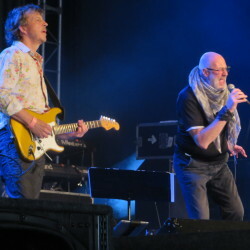 The set also featured Sing It With The Band taken from the BoF’s latest CD, Too Much Is Not Enough which also includes a fabulous live DVD from a gig in Remchingen, Germany. 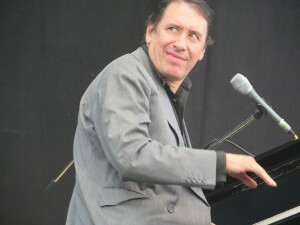 Now, I would like to digress a little bit from BOSPOP briefly and that is to say… while watching the Band of Friends in action, I noticed some remarkable similarities in characteristics between Gerry McAvoy and… Bruce Springsteen. 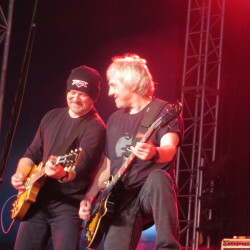 It’s not just the white-shirt-sleeves-rolled-up-under-a-black-waistcoat-look… just watch the way Gerry interacts with Marcel on stage… think Born To Run album cover! 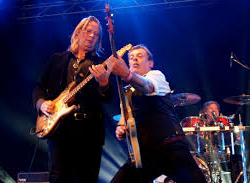 OK, so I had a little play with Google on this subject and found out that when asked recently if there was any current band or musician Gerry would like to collaborate with, his answer was (and I quote) “Bruce Springsteen”. See??!! 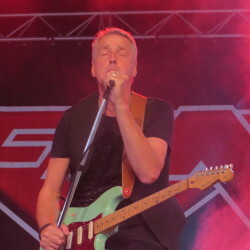 Fish: The last full-set I managed to see from Saturday’s programme was also on the tent stage and this time it was from former Marillion front man, Fish. 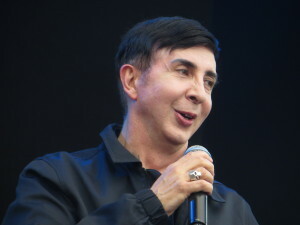 Prior to BOSPOP 2015, I knew Fish’s current Farewell to Childhood Tour features the Misplaced Childhood album performed in its entirety and thereby bringing a particular phase of his hugely successful career thus far to a close before he embarks on other things. Released in 1985, Misplaced Childhood went beyond platinum and in keeping with the concept of the album i.e. 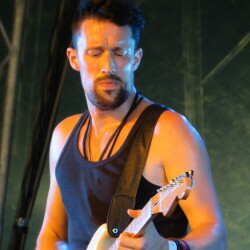 two continuous pieces of music, Fish introduced the “second and last song of his set” to a rabid, jammed-to-the-gunnels, tent stage crowd who were clearly honours graduates of the Misplaced Childhood Academy of Lyrics. My view point at the front of the stage was directly behind a young guy who was wheelchair bound… not just any type of wheelchair I may add, this was an all-singing, all-dancing, state-of-the-art electric wheelchair with a hydraulic system that let him elevate himself to the level of the security barrier level. As the set progressed, he rocked back and forth in time to the beat in his chair, his t-shirt became increasingly covered in wet patches and he did his level best to punch the air at appropriate times despite his handicaps. 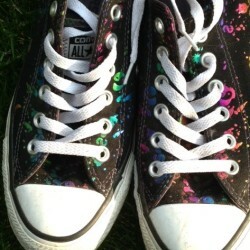 The bit that humbled me, moved me to tears? OK, I found out later this guy’s name is Sander and he is a BIG Fish fan. 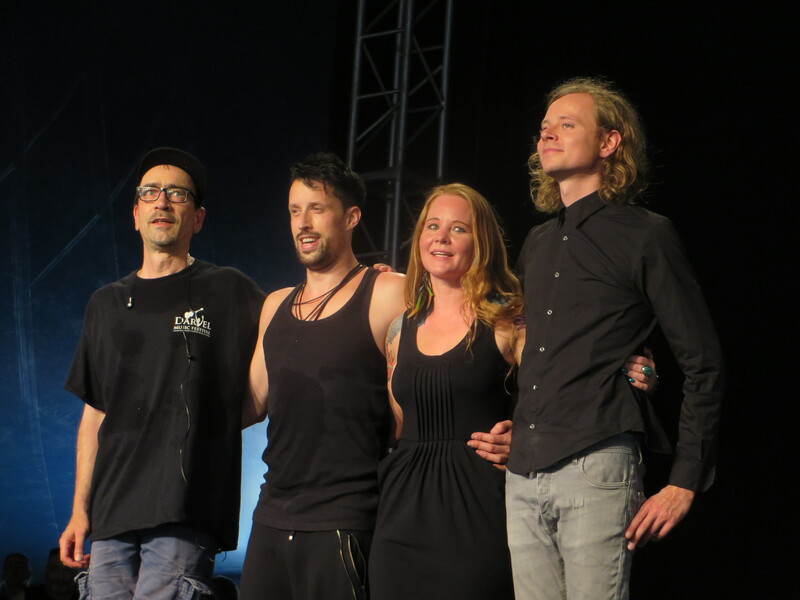 Whatever Sander lacked in physical mobility, believe me, he more than made up for vocally… he knew every word to every song on Misplaced Childhood. 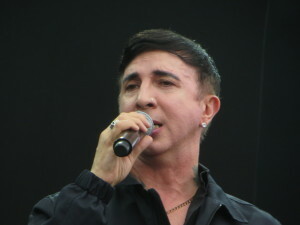 Maybe it was the fact that I knew English was his L2 (second language) or maybe it was the vibe in the tent… dunno… it’s hard to say… but watching Sander being so completely at one with the music and singing his heart out like that, just… touched me. It’s hard to explain… but “something” extraordinary happened during that hour-long set in the tent – in spite of the ever-increasing heat level as well as the deafening background noise from a gazillion plastic cups being trodden underfoot on the wooden floor. It seems that Fish was aware of it too and it was something he talked about during his backstage interview with Marc Tyley after the show. 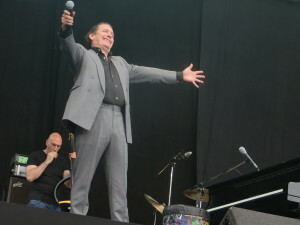 Sunday’s must-sees were FM, Jools Holland and His Rhythm & Blues Orchestra and of course, EUROPE. 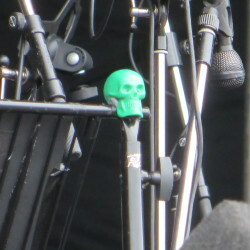 FM: FM were first up on the tent-stage for a very short but totally-charged, 45-minute set. No kidding… these guys came straight off stage from a gig somewhere in the south of England, piled into a Sprinter, drove through the night via Calais and landed on the BOSPOP stage looking and playing like this was no big deal before piling back into aforementioned Sprinter and driving back to England again straight after the show for another gig! 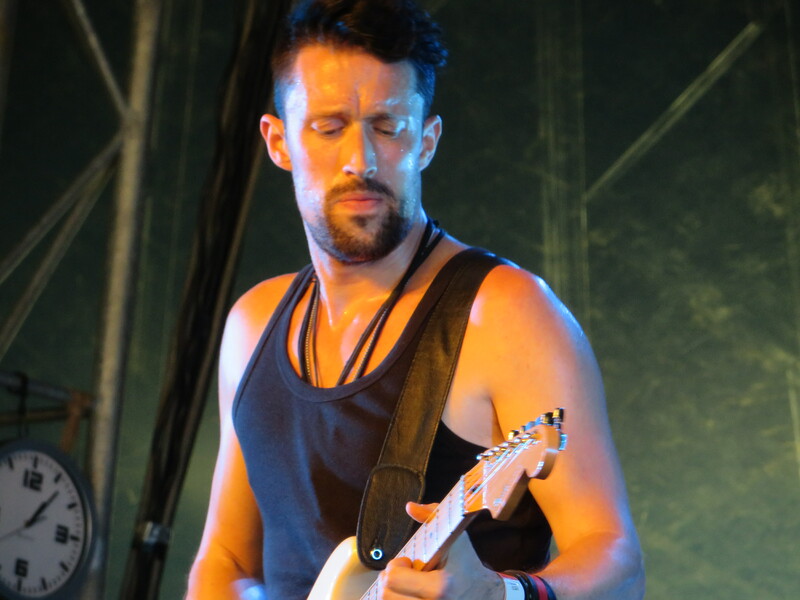 Just thought I’d mention it… but suffice to say that the first thing I did after the set was to check the band’s tour schedule because 45 minutes – yes, as in the first half of a football game – really wasn’t long enough for a band of this calibre imho. 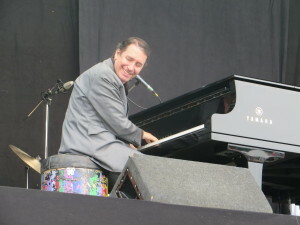 I have to say that Jools Holland and His Rhythm & Blues Orchestra lit up the Main Stage for me on Sunday afternoon. It had actually been raining up to that slot in the programme but in keeping with tradition, the sun shone once again on the righteous, i.e. us! 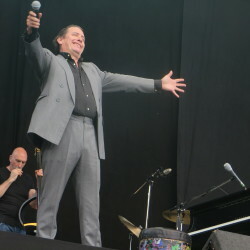 Special Guests with Jools were Louise Marshall, Mabel Ray and Ruby Turner all of whom feature on Jools’ latest album, Sirens of Song. 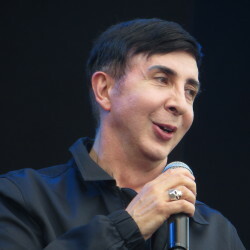 No disrespect intended here in any way but as much as I loved the boogies as well as the woogies from Jools and the wonderful solo slots from the ladies, the absolute highlight of the show for me was… Marc Almond who rose to fame in the 80’s with his band, Soft Cell. 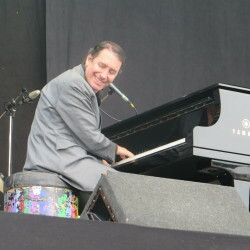 Jools got the crowd singing “yay-ya-ay-yay-yay” in perfect harmony as a warm-up for Marc’s mega-hit, Say Hello Wave Goodbye. Such a treat to hear and see live for the very first time… woohoo! 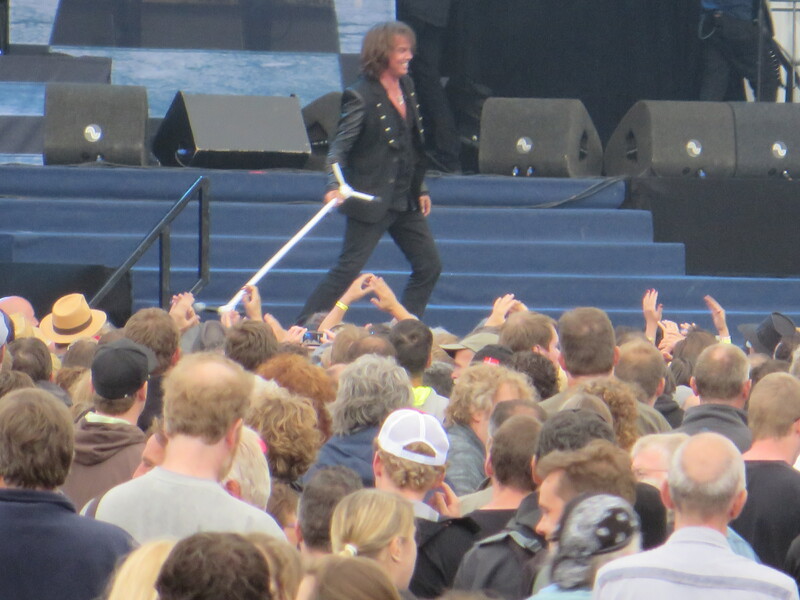 EUROPE: Apart from the quote in my intro, Joey Tempest also talked about the plans for the 60-minute BOSPOP set-list and said it would be a mixture of classic EUROPE songs as well as the band’s favourite tracks from their latest album, War of Kings. When Marc Tyley tentatively enquired about perhaps hearing, Carrie, Joey was slightly non-committal… but didn’t rule it out either. As things turned out, Carrie was featured and it really got the crowd going. Preceded by: War Of Kings, Hole In My Pocket, Scream Of Anger, Superstitous and The Second Day, the crowd was well warmed-up and ready for a sing-a-long by the time the instantly recognisable opening bars of Carrie drifted across the heads of the masses packed in front of the stage. After that, the turbo really kicked-in as the band made the absolute most of every second of main stage time that had been allocated to them. Rock The Night is just such a great track and if you’ve never seen either of the videos that were made to promote this song, do check out the one that was filmed at the Hard Rock Cafe in Stockholm – it was used as part of the setting for the video and watching Joey use a ketchup bottle as a microphone while the other guys use cutlery and imagination to back him is just hilarious and wow… the hair styles they all had back in the day… serious stuff! 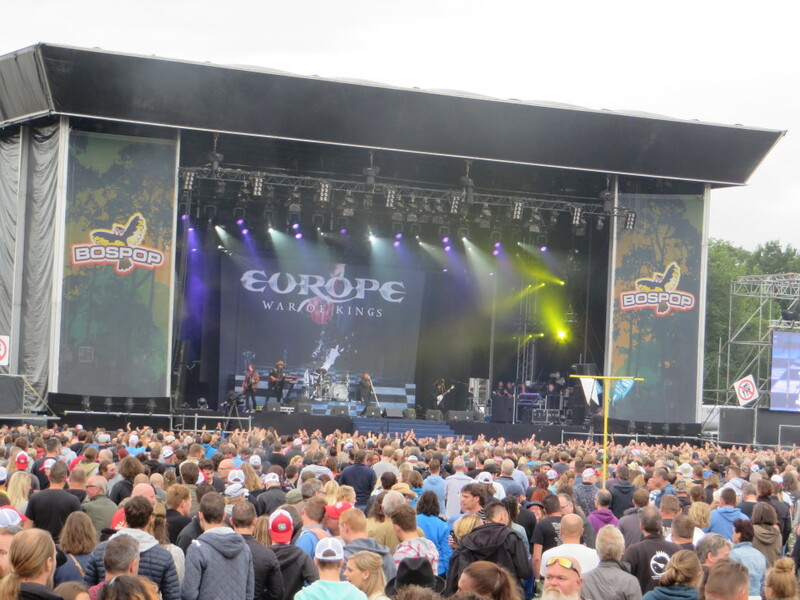 I think EUROPE’s was the quickest set of the weekend and for sure, The Final Countdown, one of rock’s most prolific anthems, brought their show to a premature close. 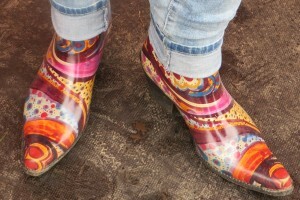 Maybe EUROPE will get to close BOSPOP one day said she, with fingers crossed! The rest of Sunday’s programme were new names for me – Dream Theatre, Anathema and Steven Wilson – although it has to be said that they are hugely popular with the locals and for sure, on another day at another time I would love to check them out but after the high of EUROPE’s set, I was ready to go and quietly process everything I’d heard and seen up to that point in the programme. 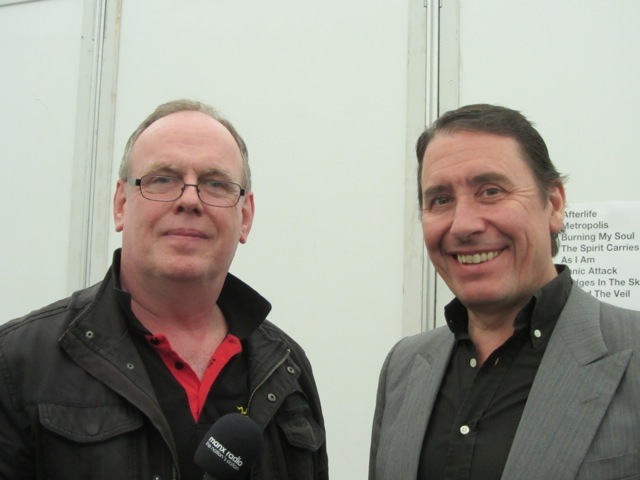 As I mentioned at the beginning of this piece, BOSPOP 2015 celebrated its 35th anniversary this year and because of this, I decided I would like to focus a little attention on some of the key personnel whose skill and efforts make the whole festival possible. 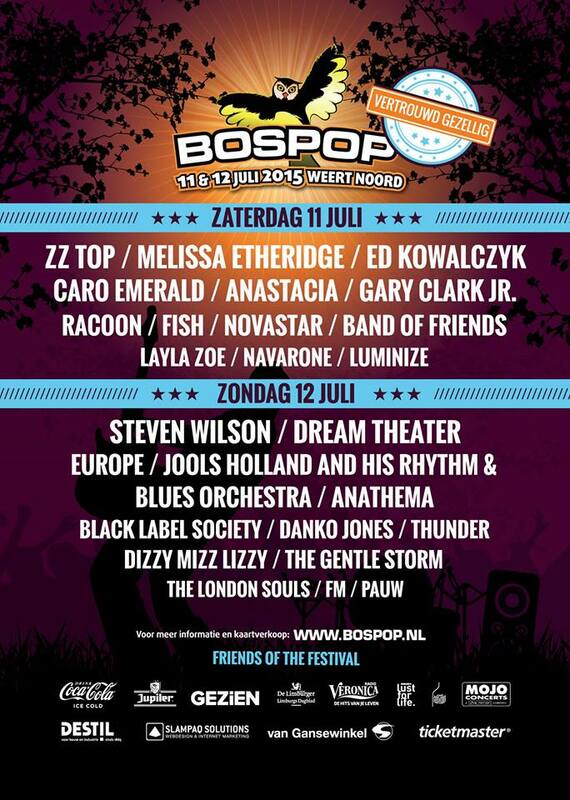 The results of this are on Part 2 of BOSPOP 2015. 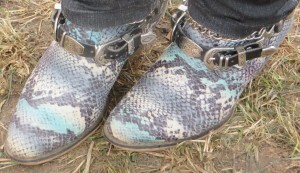 It was yet another fabulous weekend of great music, great food, great weather (almost!) 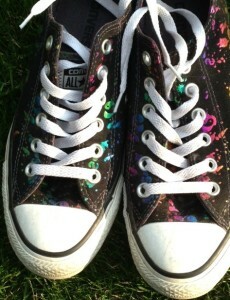 and most of all, great people. 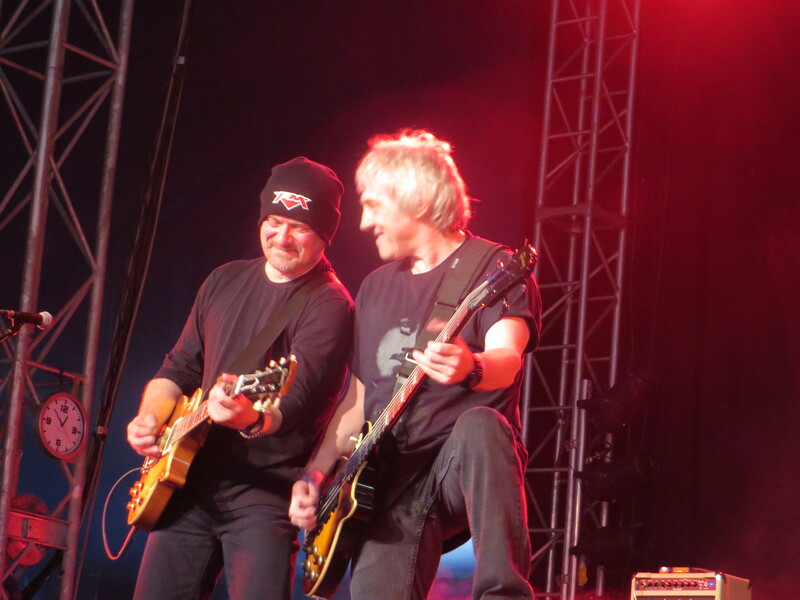 Thank you so much everyone @BOSPOP and I’m looking forward to re-running the fun at BOSPOP 2016 already! 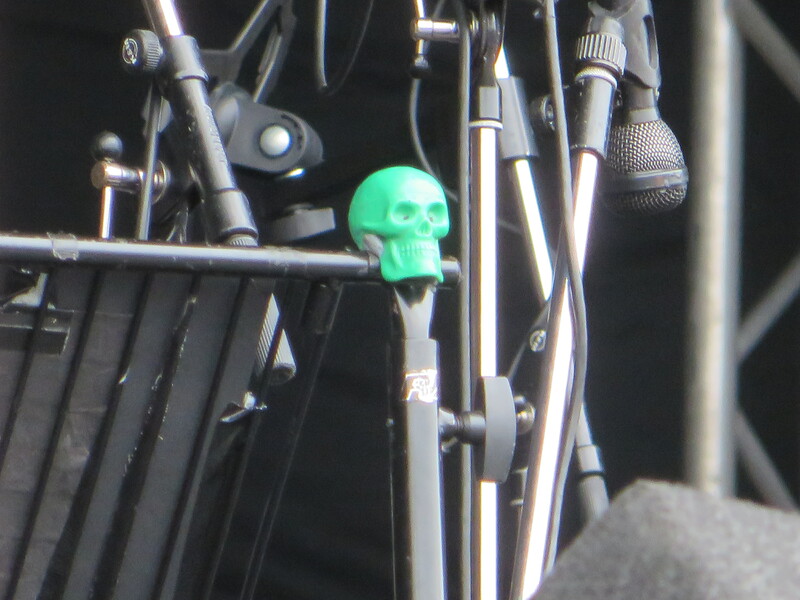 Oh yeah… nearly forgot… I noticed this cute little thing perched on a piece of rigging while waiting for Jools Holland to come on… I don’t know if it was someone in Jools’ Orchestra’s “lucky charm” or if it had been left over from Dream Theater’s earlier set… I’m inclined to think the latter!